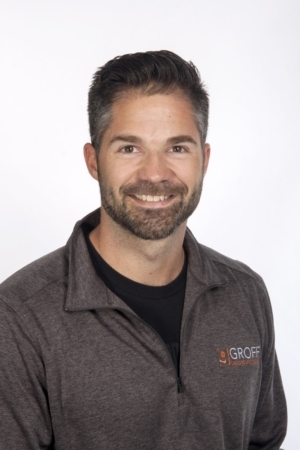 I started Groff Landscape Design 12 years ago with one goal: to provide superior quality workmanship with a stress-free client experience. I am so proud of our team for making every client experience a positive, happy one. It is part of everything we do. How you feel about our work matters. It’s one of the top reasons that homeowners say they chose to work with us. It’s equally important to me that we create a terrific work environment for our team. Our strong company culture prioritizes clear communication, detailed preparation and people who are passionate about their work. This is our team. You won’t find a better group of people to work with and I have no doubt this is why clients rave about working with our company. Before officially joining the GLD team, Sean Ryan founded ‘The Ryan Design Group’, an extremely successful landscape design firm. One of our clients said it best when they said, “Sean has the perfect combination of emotional intelligence and creativity”. So much so that we had no choice but to relinquish most design duties to Sean as our company began to grow in 2011. After years of working together it became imperative for me and to the rest of the GLD team that Sean needed to be a full-time team member. After significant pleading from yours truly and working together to come up with a plan that worked for both Sean and GLD, I’m very proud that Sean made the decision to join GLD as a fulltime team member. Sean graduated from Virginia Tech with a bachelor’s degree in Landscape Architecture in 2000. Sean and his better half Whitney are the proud parents of Dillon and Blair. When Sean is not working hard for our clients, you’ll find him coaching pee wee football, working on his jeep or cheering on the Hokies! Kristin joined the Groff team in March of 2018 and I speak for everybody when I say we are ecstatic. Kristin is going to be the first voice our new clients will hear on the phone. She will be assisting in making sure our clients and employees receive the best experience they can every day. 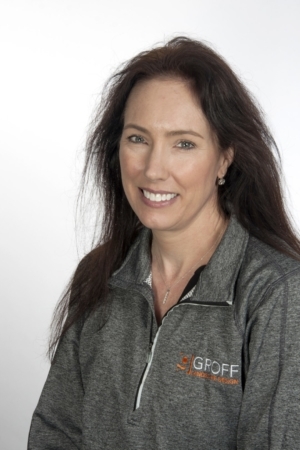 She is a huge part of our leadership team and she will spearhead much of our success in continual improvement. Kristin is from the Syracuse area in New York. She studied at SUNY Genesco and majored in Political Science and Psychology, Industrial and Organized Psychology, 1994 – 1998. Kristin adores her 4 children and her German Shepard Golden Retriever Mix Lola! We were extremely excited for Jaime to join our team back in 2013. We were even more excited to promote Jaime this past year to ‘Operations Manager’. You’ll know who Jaime is because he’ll be the first person to come up and introduce himself. His friendly personality is infectious, and he is a natural born leader and people pleaser. 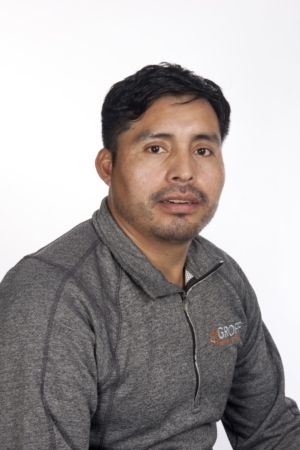 He brought some wonderful skills to our team upon arrival but since joining the team he has rapidly become one of the best construction managers I’ve ever seen. He has a unique combination of craftsmanship and client relations. It is very common for clients to ask me if Jaime “can stay” after the project installation has been completed. Jaime and his better half Nohemy are the proud parents of Merari and Jaimes. When Jaime is not working hard for our clients, he is spending time with his family, at Church or fishing! My father was an Insurance agent for over 30 years. He has always had a strong attraction to landscaping. He finds it therapeutic and fun. He’s a devoted family man with unbelievable personal and professional success because of his “treat people the way you would want to be treated” attitude. He is an ‘old school’ man of principle and extreme integrity. He taught me that if you are going to do something, you do it right. My father is a humble man and would tell you that his son built this company. Truthfully, the entire backbone of this company was built off of his principles. He taught me that ‘client experience’ is everything. Bob’s better half (and my mother), Janice have been happily married for over 38 years. 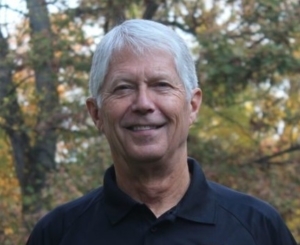 When Bob isn’t helping GLD and our clients, he is either working at the family tree nursery, or spending time with friends and family. Quinn joined our team in 2018 as a part-time design assistant. We knew he had a strong horticulture background, but we had no idea just how tremendous he would be. Admittedly, Quinn has forgotten more than I’ll ever know about horticulture. 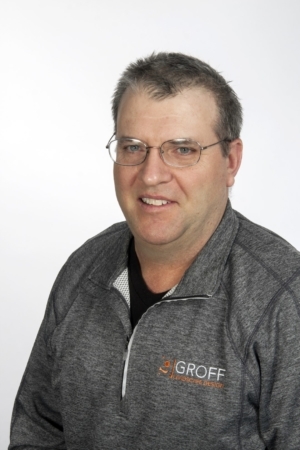 He’s been an asset in design, plant selection and plant care. Clients LOVE meeting and working with Quinn because he is personable, professional, patient and exudes a passion for plants. Quinn, his wife Erin and their dog Lilly live in Falls Church, Virginia. When Quinn isn’t working or spending time with Erin, you’ll probably find him at his cabin in Southern Virginia or fishing. 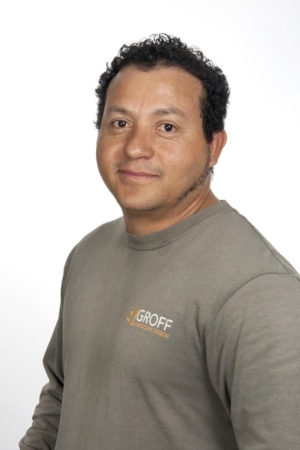 Luiz is our longest tenured team member. 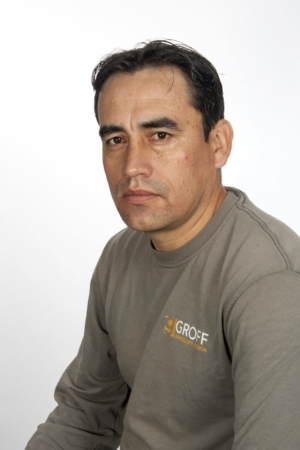 He has 16 years of experience in landscape and masonry installation. When he joined our team back in 2010, I was still “in the field” installing our projects. I doubt he would ever admit this but back in those days, I was simply ‘in the way’. Once we decided that I needed to spend more time in the office and allow Luiz to do his job, our company immediately improved. If it weren’t for Luiz, our company would not be where it is today. When you first meet him, you may think he is shy but don’t let him fool you. He is incredibly talented, meticulous and humble. Luiz and his better half Flor are the proud parents of Jonathan. 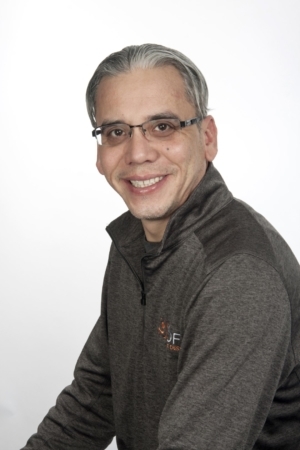 When Luiz is not working hard for our clients, he is spending time with his family, learning in school or volunteering for his Church (where he plays the guitar during the services!). 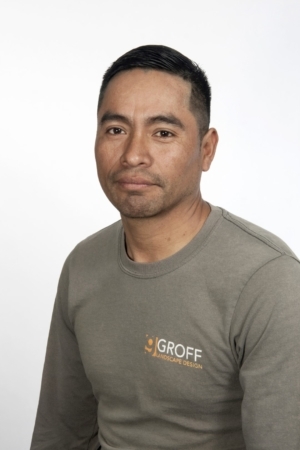 Jose joined our team in 2013 as a stone mason. Before he arrived I suspect he didn’t have a strong desire to be installing “softscaping” because he was so talented in masonry which is a very rare art these days. It wasn’t long though before he was coming to us to learn more about plants. Since the day he joined our team, he has been a breath of fresh air. He is always eager to learn and better himself. You’ll also notice that he is extremely conscientious and always seems to be one-step ahead. Jose is going to be an unbelievable project manager very soon. Jose and his better half Diana are the proud parents of Cryztal. When Jose is not working hard for our clients, he is spending time with his family, fishing or working in his own yard! Enso started working with us in the spring of 2015. He previously worked in commercial landscape maintenance but strongly desired to work in the residential design and construction sector. He was very successful with his previous employer and took a big chance to switch careers and join our team. Enso is very eager to learn and has a background in finance as well as a desire to help us continually improve this company. Whenever our team meets to discuss our company and personal development, he always come to me the next day with a full page of ideas and thoughts about how we can be better. His enthusiasm is contagious. Enso and his better half Jessica reside in Northern Virginia. When Enso is not working hard for our clients, he is spending time with family. Israel joined our team in 2013 as well. Pound for pound, I believe he is the strongest man I’ve ever seen. It’s both remarkable and alarming at the same time. His work ethic and effort are unmatched. When you walk outside in the morning and see the team working, it’s guaranteed that he will wave to you and say, “Good Morning”! I’m very proud of Israel as he has grown both professionally and personally over the last few years. When he is not working hard for our clients, he is fishing or spending time with family and friends! 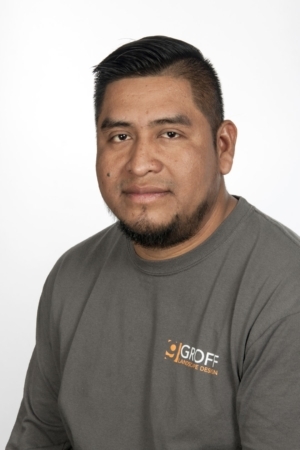 Manuel joined our team in the winter of 2017. His quiet demeanor is only surpassed by his sneaky sense of humor. 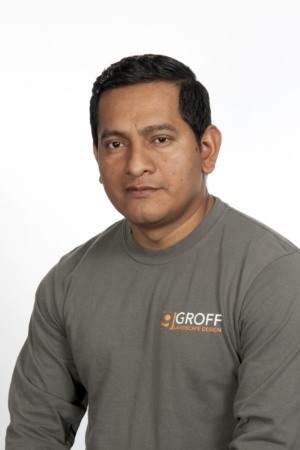 Everybody on the Groff team loves Manuel. 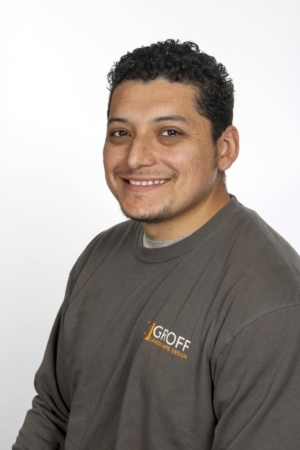 He is reliable, smart and rapidly growing into a very skilled craftsman in both landscape and masonry. When Manuel is not at work, he spends quality time with his son. He is also an excellent soccer player. Yony joined our team in 2018. We were looking for somebody who excelled in communication and had the demeanor capable of providing exceptional customer service and he fit the mold perfectly. Yony is a quick learner and has immediately made a positive impact on our team. He has the desire to learn and grow within this company. When not at work Yony spends time with his wife and two children. He also loves playing soccer as well as watching his favorite team, Real Madrid.